You can pay with PayPal (includes credit/debit cards) or manually process credit cards. International customer can only pay with PayPal. one address to the store during the transaction. that item. You are also agreeing that BLUEGUN STORE will not be held liable for any misuse or accidents resulting from the use of any item purchased. or General Catalogs. We apologize for the inconvenience and appreciate your support. If you do not want to be added to our store email list please indicate during checkout. We are not responsible for any typographical errors that may be posted on this site. In the event an error is discovered we will make every effort to offer a fair resolution. Customers who reside in the State of North Carolina will be charged sales tax at the percentage set by state law. We respect your privacy. See detailed information in FAQ. listed with PayPal. No refunds can be given due to an incorrect shipping address. PLEASE NOTE: Customer Shipping/Billing Addresses via Paypal Express On orders made with Paypal Express, especially when using the express button which bypasses the checkout of the store, only the billing address is transmitted from Paypal to the store and is used as the delivery address. This may cause some problems if the you would like to ship to adifferent address. There is a warning about shipping addresses which appears on the Paypal site when you are taken there for payment, but it may beoverlooked. Paypal Express will only .provide one address to the store during the transaction. It is the responsibility of the customer to confirm a shipment of Blueguns can be shipped to your home country; we will not give refunds for shipping in error. receive a refund or replacement items after 7 days from when you notified us of an issue. as received to get a full refund. 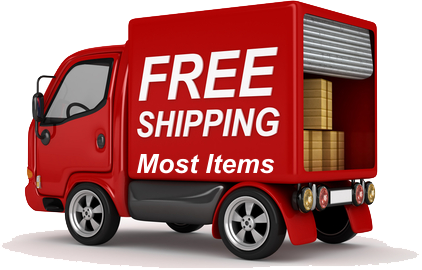 The customer is responsible for all shipping fees and will be subtracted out of the total refund if free shipping was given at purchase. account. A 30% restocking fee may apply. No refunds will be given for personalized items. Click here to download Return Form. Please understand that the W-9 form is filled out with our primary business information on it; RMB Custom Leather, LLC. BLUEGUN Store is just a subsection of our primary business.